2018 marks the final year of a 3 year mobility exchange between the University of Johannesburg’s DSD Desis Lab and the Sheffield School of Architecture. The broader exchange network, Research As Urban Method (RAUM), includes CEPT in Ahmedabhad, India and Nanjing University in Nanjing,China,I have been facilitating this exchange and alongside Angus Campbell and Terrence Fenn have hosted and taken part in several events and workshops that aim to co-develop a shared field of ‘Spatial Design’ between the various disciplines of design involved in the exchange. RAUM is a collaborative project investigating spatial design education in relation to global urban development challenges, and is interested in expanding knowledge about teaching in this field. 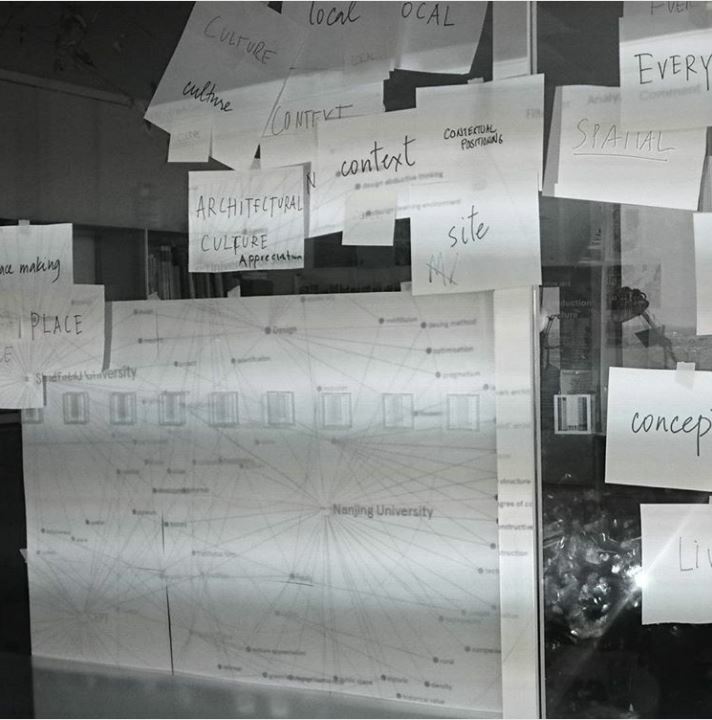 The initial exchanges centred around commonality and theory in design, and produced a broad word cloud that captured the links and connections. The exchange also hosted Dr. Tatjana Schneider who spoke on a panel with students from UJ around what the role of Spatial Agency in South Africa could be. This year the exchange hopes to document the process and share the broad findings of the collaboration.